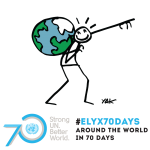 Elyx has visited Lebanon before to learn more on the work and programs of UNRWA, but today our digital ambassador is invited again to Beirut for a very special occasion: UN 70 day events! An engaging and exciting celebration awaits our digital ambassador and the UN Country Team of Lebanon is excited to meet and welcome Elyx, who is the guest of honor of this very special day. Following the official opening session, where Elyx is greeting everyone, our digital ambassador attends the three Panels and round tables organized specifically for this event. Elyx participates attentively to all of them, being particularly impressed by the one regarding the perspectives on Lebanon for the 2030 and by the round table on Environment. Our digital ambassador is glad to assist to a vivid dialogue and discussions regarding the newly adopted Agenda 2030 and about climate change for the upcoming COP21. After a busy, but very interesting morning, Elyx is ready to explore Lebanon and its astonishing natural and historical sites. Lebanon welcomes 25 UN agencies, which coordinate their actions in order to meet both Lebanon’s humanitarian and development needs and the refugees’ emergency. The guiding framework that assures the coherent and coordinated action of the UN Country Team in Lebanon is the United Nations Development Assistance Framework (UNDAF), while the Lebanon Crisis Response Plan (LCRP) attempts to address directly the consequences of the Syrian conflict. 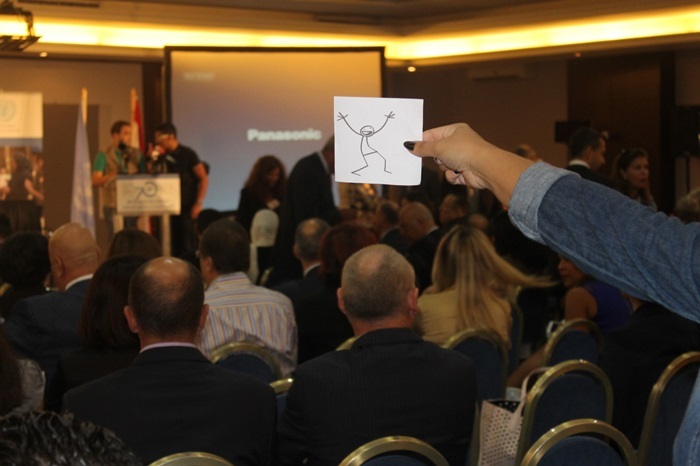 Thanks to UNHCR, Elyx learns that Lebanon has received the highest number of refugees in the world. At the start of 2015, there were expected more than 1.3 million of registered Syrian refugees, who now live in almost 1,435 informal tented sites and 52% percent of them are children. 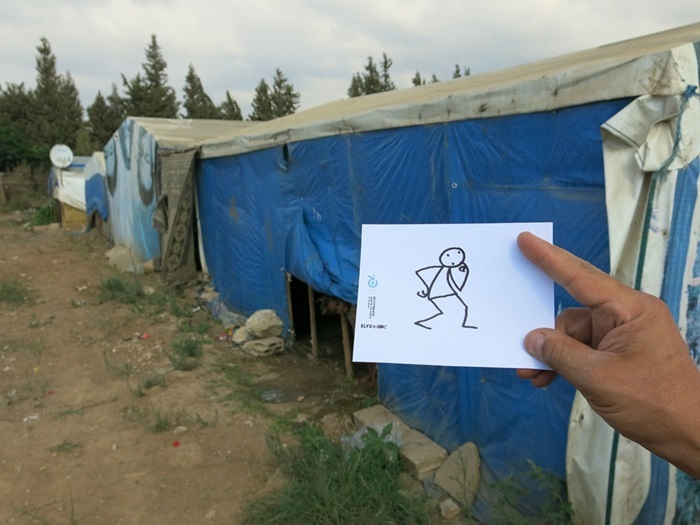 Elyx is invited to visit one of these tented settlements, where it has the opportunity to play and draw with children. 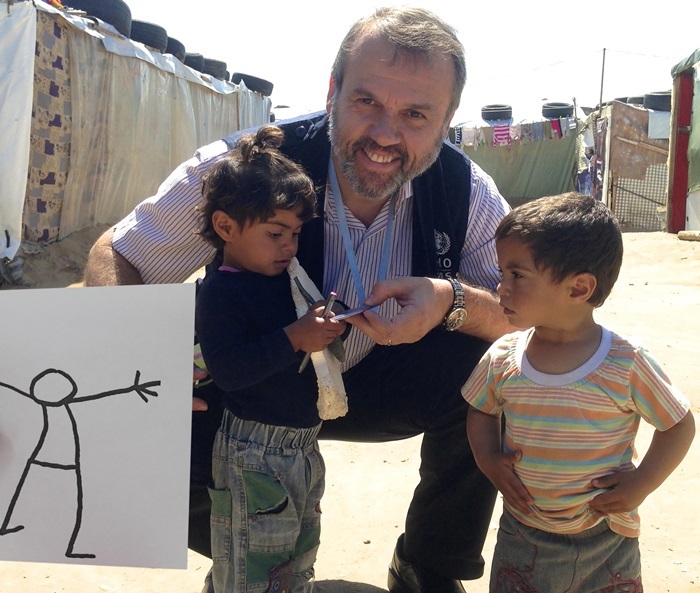 Dr. Balladelli, the WHO Regional Emergency Coordinator, welcomes Elyx in the tented settlement for refugees of Bekaa valley, explaining how there has been increasing health vulnerability in Lebanon due to the refugees’ crisis. WHO has constantly made efforts in order to provide essential medicines and medical equipment to the Ministry of Public Health, as the refugees’ crisis has put under unparalleled stress the national health sector. 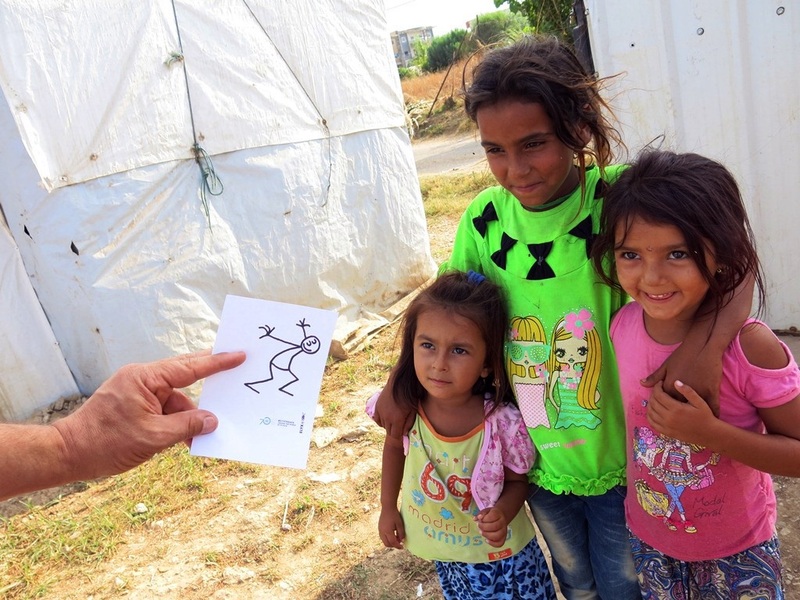 In particular, vaccination represents a high priority for refugees’ health and Syrian refugees’ children immunization still remains a severe challenge for health partners. In addition, the UNHCR staff together with other humanitarian partners constantly attempts to improve the self-reliance and empowerment of refugees. 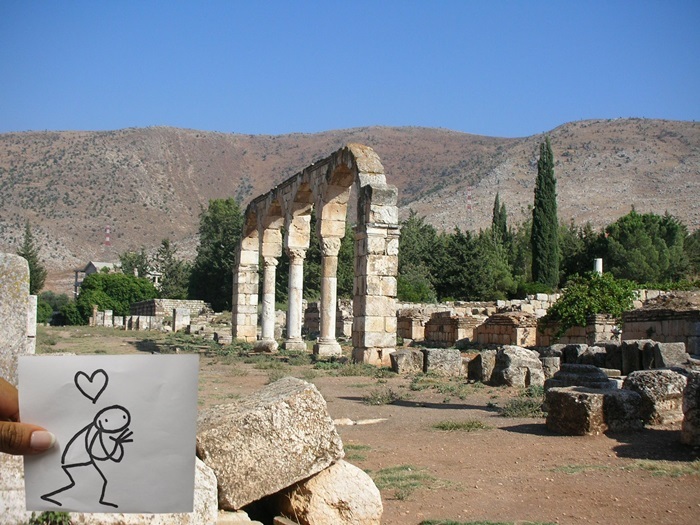 Afterwards, Elyx takes some time to visit the historical monuments and sites present in Lebanon and as a first stop, Elyx explores the city of Anjar which has been a world heritage site of UNESCO since 1984. The ruins are reminiscent of the palace-cities of ancient times and they represent a unique testimony of the city planning under the Umayyad Caliphate. Lebanon is also the home country of the ancient Phenician civilization. 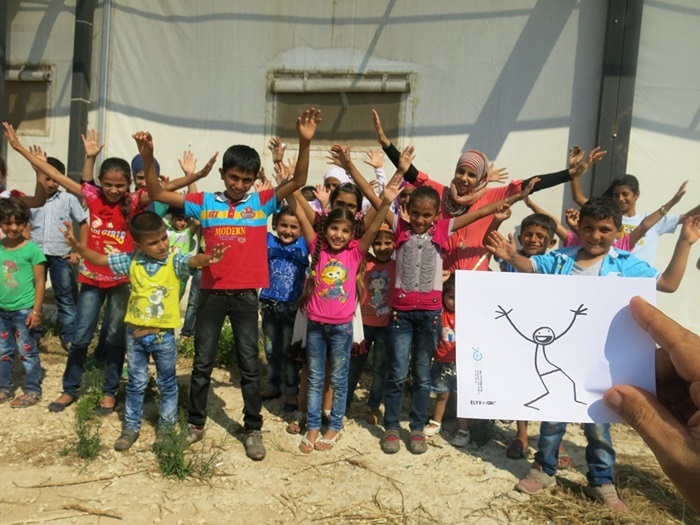 Elyx has spent a wonderful time in Lebanon, participating to an amazing celebration and learning more on the refugees’ emergency in the country. With beautiful memories and more informed, Elyx is ready to fly again on its cloud toward another destination. Goodbye Lebanon!